What exactly is the balance sheet? In short, a Balance Sheet is a report that gives you a summary of the financial situation of a business on any given date. But what does that mean exactly? It will show you the total value of your company's assets, liabilities, and equity. Interestingly enough, it got it's name because the total of the assets is always exactly equal (in balance) to the combined total of the liabilities and equity. The formula looks like this: Assets = Liabilities + Owner's Equity. This is also otherwise known as the Accounting Equation. There are many different bookkeeping accounts that appear on the monthly and annual report. The different bookkeeping accounts you will find can be thought of as all of the things (including money) that you own as well as all of the debts that you owe. This would include things like bank accounts, property (buildings), equipment, furniture and amounts that people owe you (Accounts Receivable). This also includes all of your liabilities such as bank loans, credit cards, and amounts you owe to other people (Accounts Payable). Additional types of bookkeeping accounts that you will find are the equity accounts. These indicate what your business is worth and include all of the money (investments) that the owners have put into the company as well as all of the money, draws or distributions that the owners have taken back out. The equity of your company is the total of all of your assets (what you own) minus the total of all of your liabilities (what you owe). This is also known as the net worth of your company. When determining what you equity is, the accounting formula changes. Now the formula would look like this: Equity = Assets - Liabilities. Your b/s report may be long or short depending up the type of company you have, how many assets, furniture, equipment, and loans you have. Have A Question About The Balance Sheet? Is there something more you would like to know about the Balance Sheet? Please share your question.. others may be wondering the same thing! Your question will appear on a Web page exactly the way you enter it here. You can wrap a word in square brackets to make it appear bold. For example [my story] would show as my story on the Web page containing your inquiry. I have a school balance sheet assignment that I need help with. I would like to know why my balance sheet is not balancing. Is Accounting Equation an Ideal or Reality? Where on the balance sheet should a suspended loss be posted and shown? Where is a prepaid expense deposit to open a utility account listed on the balance sheet? I am confused as to how to make a balance sheet. Will you please provide more information on what I should do? Why does my income tax payment not show on my end of year financial statements from my accountant? 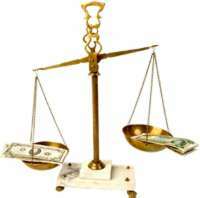 Why do liabilities equal to total assets on the balance sheet? What is the difference between balance sheet items and income statement items? Very simply, how does one do reconciliations of balance sheet accounts?